No cutlery set would be complete without a butcher knife. A butcher knife is undeniably an indispensable tool in the kitchen because only it can be used for effectively chopping all sorts of ingredients no matter the shape, size, and hardness. If you want to get a butcher knife of your own, but don’t know which one you should get, then you’re in the right place. 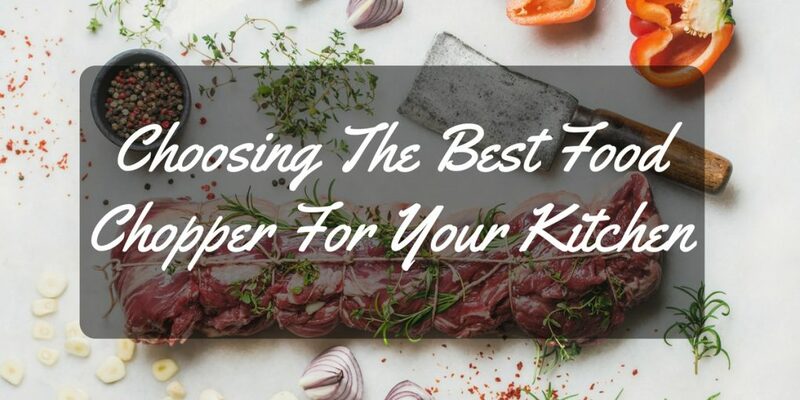 This article will tell you all you need to know in order to get the best butcher knife for your home. What Is A Butcher Knife? A butcher knife, also known as a meat cleaver, is a piece of cutlery that originally came from China. One of its distinguishing characteristics is the size of its blade that is similar to a meat cleaver. 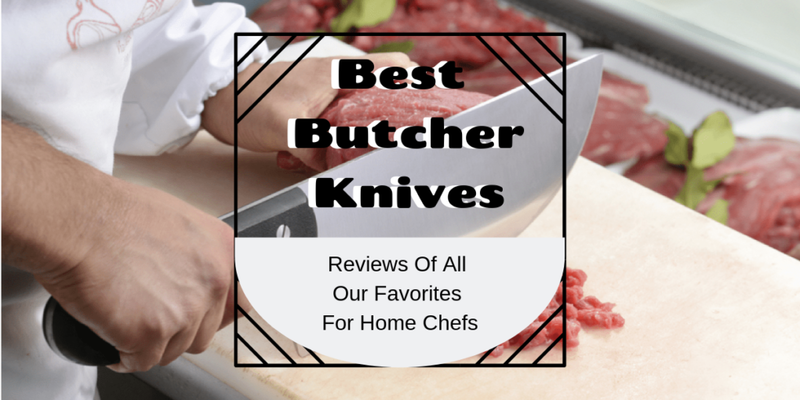 Butcher knives can be used for multiple cutting tasks such as chopping vegetables, meat, and cutting through bone. But its main purpose is to cut, strip, and chop meat. Hence, the name. Without a doubt, the butcher knife is a very versatile piece of cutlery that can outweigh the purpose of other knives in the culinary world. So why would you need a butcher knife in your kitchen? I can think about different benefits that you can enjoy once you have a reliable butcher knife. For one, it can offer you extreme versatility around the kitchen. You can use it for cutting hard ingredients such as coconuts, carrots, and other kinds of food that can be hard to penetrate by using a light knife. However, if you ask me about the main benefit of this piece of cutlery, I think it would be the fact that it can be used to efficiently chop through meats, bones, and hard vegetables in just a single swift motion. You can get cleaner cuts with the help of a butcher knife. Another thing you can enjoy if you had a butcher knife at your disposal is efficient cooking. Since a butcher knife comes with a wide and thin blade, you can use it to instantly scoop up the ingredients you have chopped up. This can make it easy for you to transfer ingredients from the chopping board right into the pot or pan. You can even use a butcher knife’s handle to crush peppers and to grind herbs or spices. If you have no idea whatsoever about butcher knives, I encourage you to take a look at these following features that I have listed below. Even though butcher knives may seem like a simple and practical piece of cutlery, there are still a number of factors that you should look into to make sure that you end up with a completely reliable product that in turn, will end up making you a satisfied customer. Butcher knives come in different shapes and sizes. 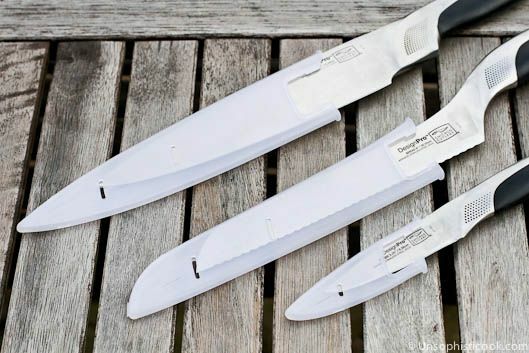 Some butcher knives come with a design that is somewhat similar to a chef’s knife, but other butcher knives come with a blade that has a classic rectangle shape like that of a Chinese cleaver. I personally suggest going with a meat cleaver that comes with a rectangle-shaped blade. Why? Because a blade with that shape allows for efficient chopping. You can also use it for scooping up ingredients. Butcher knives can be made with stainless steel or carbon steel. If you ask me, there isn’t really any noticeable difference between the two. However, it is deemed that carbon steel is much more durable than stainless steel. However, you must take note that even though carbon steel is much more durable, it is more corrosive than stainless steel. Another factor that you should look out for is ergonomics. Ergonomics pertains to the design of a product that adds to its overall usability. When it comes to butcher knives, this means that you should go with one that comes with handles that are comfortable and easy to grip. Take note that since this is a knife, you will have to pay close attention to the handles since it can significantly affect your overall use of the product. What makes butcher knives great tools for cutting meat is their weight. Butcher knives are significantly heavier than other pieces of cutlery because of their large blades. The large blades that come with the added weight is what makes this knife easy to handle when it comes to chopping hard ingredients such as thick vegetables and bone. Other things you may have to pay attention to in order to get a product that you’ll be happy using is the ease of maintenance and cleaning. This could mean going with a knife that is completely dishwasher safe. You may also want to look for a knife that comes with a hanging loop for easier storage. Whether you are a meat lover at home or a person who runs a butcher shop, you will surely enjoy using the iMarku 7-inch stainless steel butcher knife for cutting, chopping, and stripping meat. What’s great about this knife is that it comes with a highly attractive design that will make it very easy for you to pair it with your existing utensils. It comes with a nice pakka wooden handle that is easy and comfortable to grip. It will help you perfectly secure this knife in your hands as you proceed to chopping up your ingredients. With this knife at your disposal, you can do so much more than cut and prepare meat. 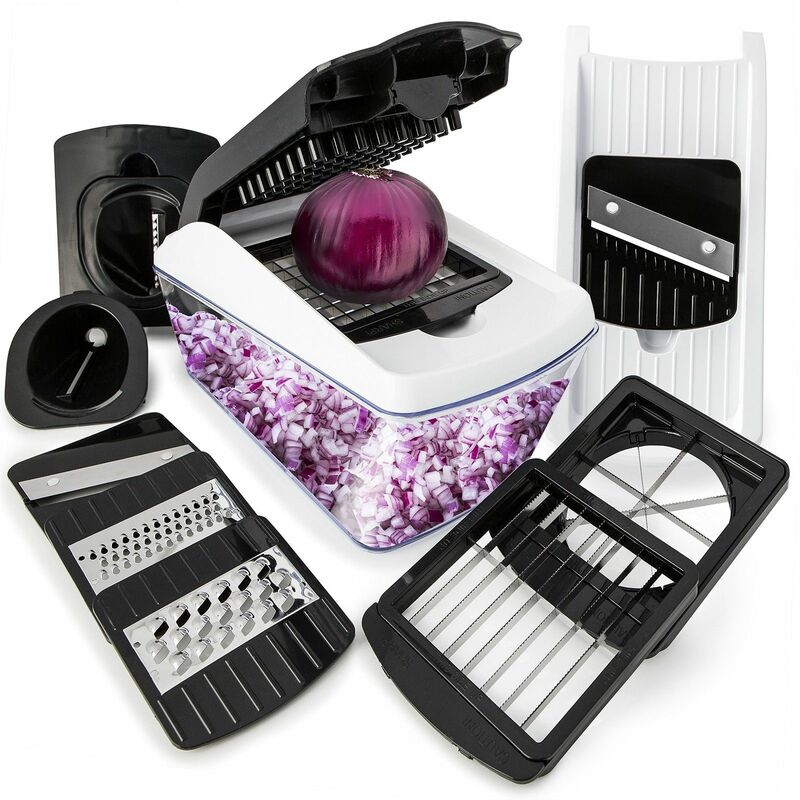 In fact, you can even use it for mincing, dicing, and slicing other ingredients such as soft and hard vegetables. Another thing that I like about this knife is that it comes with a mirror-like shine that will help you determine whether this knife is completely clean or not. Even though it isn’t dishwasher safe, it’s smooth stainless steel exterior will provide you with no hassle at all when it comes to cleaning. This knife also comes with a handy hanging loop for easier storage. This knife is probably the most attractive one in this list if you ask me. In fact, this knife has been deemed as one of the world’s best knives today. Right from the moment, I saw this butcher knife I knew that I was going to enjoy using it. It comes with a semi-rectangular-shaped blade that is curved at the end and its blade is paired with a very attractive wooden handle that’s supposed to make it look rustic, but only made it look more luxurious if you ask me. Aside from the overall look of the knife, what I loved about this piece is that it is made with high-carbon German steel. What’s great about this material is that it is really durable. Being so, it doesn’t require much maintenance such as blade alignment and sharpening because it maintains both of those factors really great all on its own. Perhaps the only downside to this knife is that it is not dishwasher safe. And since the handles are made out of wood, you would have to take extra care of it to avoid getting unattractive chips, dents, and scratches. For those on the look-out for something with a more classic look, this one is the best option for you. The blade is made from complete stainless steel and has a heavy-duty construction to it to ensure that it will truly last for a long time. It doesn’t get dull easily unlike other knives, especially when they are in storage. Don’t worry about using this to cut through animal bone because it gets the job done perfectly. You can use it either as a butcher knife or as a chopping knife to ensure that vegetables and meats can get cut with utmost precision. If you own a restaurant, this might be a better choice for you. This razor-sharp butcher knife can be relied on for all sorts of chopping needs. It has been crafted from high-carbon German steel and the edges have been polished at a remarkable 18-degree angle on each side. With its 9-inch blade that also boasts of 4.2 mm thickness, this is a force to be reckoned with when it comes to cutting meats, fruits, vegetables and fishes into precise cuts. This is one luxuriously-made knife, which justifies its price. You won’t be disappointed with the handles as it is thicker than standard butcher knives, which offers a better grip. It also has black pakkawood handle for a nice aesthetic. It is easy to grip and has a good size that makes cutting and chopping ingredients easier. The pakkawood handle is laminated so it is resistant to damages. There is a nice knuckle clearance, so it is easier to use. It comes with a money back guarantee. The warranty lasts for a lifetime so in case you have a problem with it, the manufacturing company can help you out. It cleans easily and is also a cinch to sharpen. This is more expensive than other knives out there. One of the most rustic-looking butcher knives in this list is the 8-inch Winco Chinese cleaver. What makes it look like an irresistible piece is its rectangular shaped blade that comes with a nice engraving on one side that is paired with a 5-inch wooden handle. This product literally looks like it has been passed down from generation to generation during ancient Chinese times. If you are into aesthetics, then this Chinese cleaver might be the best choice for you. If this product is too pretty, that it makes you doubt its overall usability, don’t get fooled into thinking that it can’t perform as well as the other products in this list. 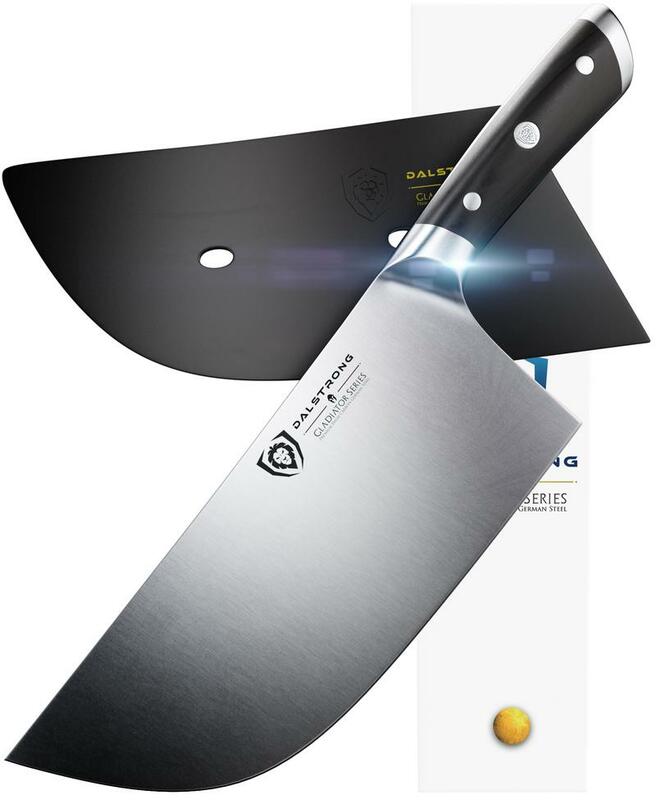 In fact, this cleaver comes with a highly durable and rust-resistant blade that you can use to effectively cut meat and other ingredients as well. It also comes with a highly ergonomic 5-inch long handle that allows for a comfortable grip. Its handle is just the perfect size for a secure grip that will prevent you from accidentally throwing your cleaver during cutting. This product is also quite easy to clean and maintain. It can be cleansed in the dishwasher and its rust-resistant handles makes for easier storage. Perhaps the only downside to this product is that you may have to take extra care of its wooden handle since wood can easily accumulate molds when stored in a damp place. We recommend the iMarku Cleaver Knife for those looking for a mid-priced butcher knife that is flexible enough to be used for different chopping needs. It has a good design and seems well-made and sturdy. 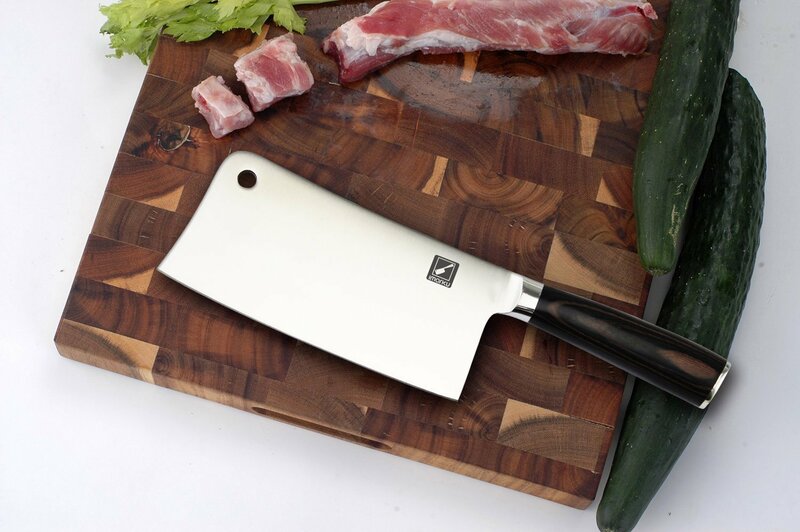 If you are looking for a butcher knife that isn’t tedious to keep sharp and doesn’t require a lot of maintenance, the TUO Cutlery Vegetable Meat Cleaver Knife is the best choice for you. The Utopia Kitchen 7-inch Stainless Steel Chopper is a sleek and modern-looking butcher knife that can be a good choice for those who are looking for a simpler design. It is a heavy-duty choice, so you can enjoy using this to prepare ingredients for a long time. If budget is not an issue, invest in the Dalstrong Cleaver Butcher Knife. It is more expensive, but it does offer durability, so you can use it for a long time. Get the Winco 8-inch Heavy Duty Chinese Cleaver if you are on a tight budget. It’s not as impressive as the others but it can be relied on for heavy cooking needs. It’s been a tough choice, but overall we think the best butcher knife has to be the Dalstrong cleaver for its luxurious design and easy grip. Now that you know all these, it’s time to decide which one to get. If you are looking for more kitchen and cooking products that will make working in the kitchen more convenient, go ahead and visit our homepage to find more product reviews, buying guide and product recommendations. In order to maintain a reliable cutlery set for your home, you must see to it that the blades of your knives are always sharpened. Otherwise, you might just end up with a completely useless and hazardous cutlery set that can do more harm than good. 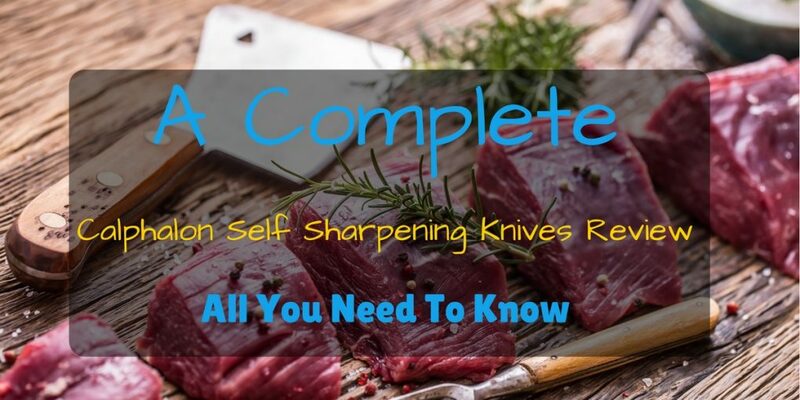 If you are looking for a low maintenance cutlery set that will last you for the years to come, I encourage you to read this complete Calphalon Self Sharpening Knives Review to find the right cutlery piece for your home. Carving a large turkey or a freshly baked piece of chicken is no easy feat, but with an electric carving knife at your disposal, you will be able to get perfect slices of meat without any struggle at all. No need to sign up to a cooking school because the electric carving knife will help you produce results as if you are a real pro. We checked the market for some of the best electric carving knives for poultry these days and curated those that have the best features, cutting-edge technology, even results and ease of usage. 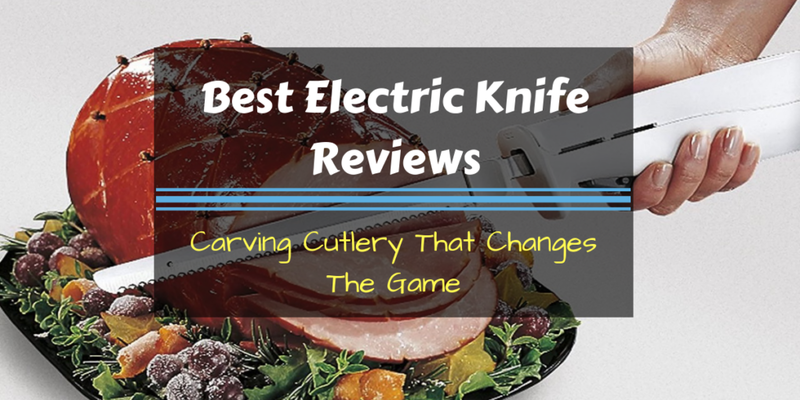 Read on to find out which electric carving knives are the best choices for you. The Chinese cleaver is one of the most interesting equipment in the kitchen. Perhaps it’s the way Chinese cooks use it with such speed and accuracy that makes it look like a really great piece of ﻿cutlery. Their swift movements make you want to copy them and try it on your ingredients as well as if you are a true pro. Seeing these experts wield their trusty Chinese cleaver will make you want to own one. 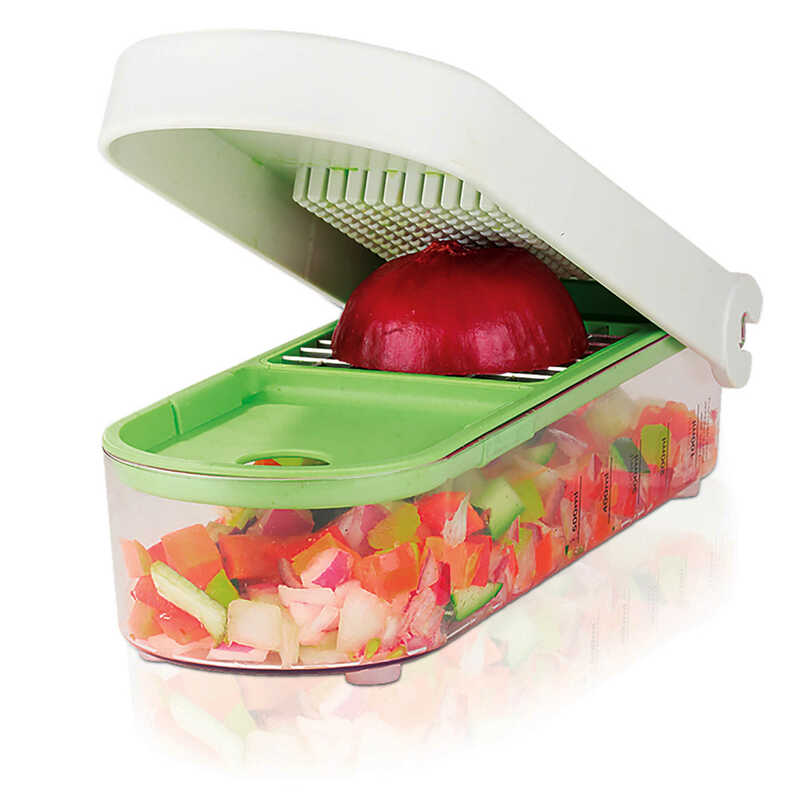 It really is a nifty equipment that you shouldn’t go without as it can make chopping ingredients a lot easier. But there are so many of them out there and they look all similar that it can be difficult to choose just one. 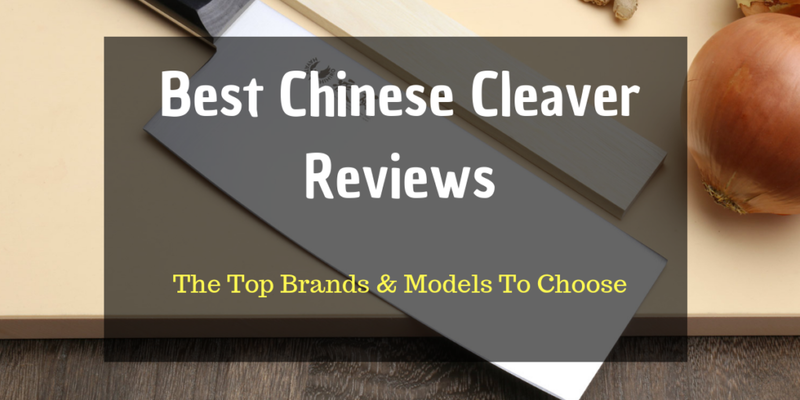 This article will help you figure out what you need and prefer in a Chinese cleaver and choose the one that suits your needs. What exactly is a Chinese cleaver? It is a piece of cutlery that originated from ancient China. It comes with a really wide and thin blade that distinguishes it from other kinds of cutlery. What’s great about Chinese cleavers is that they are often used for every cutting task in Chinese kitchens. It can be used for ﻿﻿﻿﻿﻿chopping ﻿﻿﻿meat, cutting bone, vegetables, and sometimes even peeling fruit. Needless to say, a Chinese cleaver is one of the most versatile pieces of cutlery in the culinary world and one you should definitely have in your kitchen. 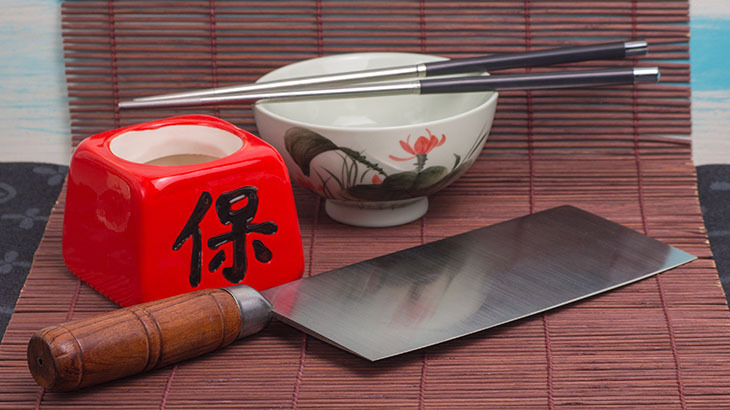 Perhaps the main benefit of using a Chinese cleaver is the fact that it serves multiple ﻿﻿﻿purposes, that’s why it can serve as the only knife in most Chinese people’s kitchens. The most obvious benefit to using a cleaver is that it can help you cut large chunks of meat with just a swoosh of a knife or two. It’s large size and above average weight allows for seamless chopping and cutting of all kinds of ingredients, especially harder and bigger ones. Another benefit of Chinese cleavers is that you can use them to scoop up all of the ingredients that you have cut, therefore adding speed and efficiency to the overall cooking process. Some Chinese cleavers come with handles that can even be used to tenderize meat and to grind herbs and spices. The Chinese cleaver’s design allows it to become an extremely versatile kitchen tool. If you’re a creative cook, I’m sure you can even think of new ways to use it in the kitchen. The key to finding the best cleaver for your home is getting familiar with the different factors that make a good cleaver. Cleavers don’t really come with complex features, but subtle changes in the factors I’m about to mention below can significantly affect its overall use. One significant factor that you should always consider before you choose a cleaver is its overall design. Although cleavers come with a distinct blade shape, not all cleavers come in the same size. Before you choose a cleaver that you wish to take home, make sure that it is big enough to help you cut through the ingredients you wish to use it on. If you were to use it for chopping through meats with bones, I suggest getting one with a large blade for added weight. Otherwise, you should just get an average-sized cleaver that will help you get normal cutting tasks done with ease. Ergonomics refers to the overall effectiveness of a product’s design once used for application. When it comes to choosing the right cleaver for your home, I suggest looking for a cleaver with easy-to-grip handles. The handle design of a cleaver is a very significant aspect because it determines the overall handling of the product itself. Most Chinese cleavers come with wooden handles. Although it may look more authentic, I suggest going with cleavers that come with a metal handle instead for added balance and durability. Though Chinese cleavers are made with steel, do not get fooled into thinking that they are all made from the same kind of metal. Chinese cleavers can be made with stainless steel, food grade steel, and carbon steel. Though all of these metals work well for cutting, assuming that they are well maintained, I would like to recommend going with a cleaver that comes with a nice carbon steel blade. Carbon steel tends to be really durable, a factor that is essential for cutting hard vegetables and meat with bones. Chinese cleavers are often used for chopping vegetables and meat. One factor that you should look out for to effectively carry out your cutting and chopping needs is weight. If you choose a Chinese cleaver that is lightweight, you will have more difficulty chopping through dense and hard ingredients. This is why I suggest getting a rather heavy cleaver that will help you lessen the force you have to put into cutting your food. Be careful though, heavy pieces of cutlery can become more hazardous since they can inflict serious damage if they happen to fall off the counter. Keep them away from the reach of children. Other less important, but convenient, factors that you should look out for before you get a Chinese cleaver of your own are the small things that can make using the product easier. This could mean going with a cleaver that comes with a hole for hanging or a cleaver that is completely dishwasher-safe. Find out more details about each product below. 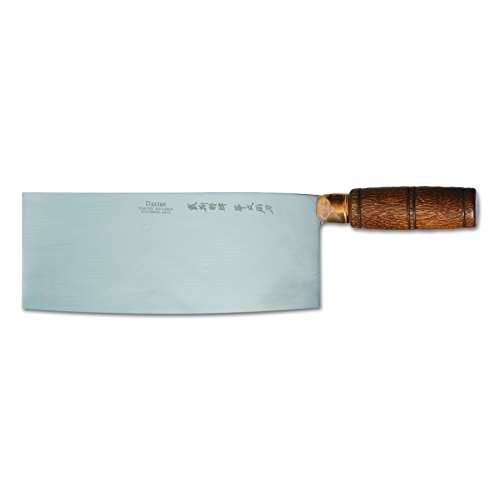 If you are looking for a Chinese cleaver that is made with quality materials, but won’t break the bank, this 7-inch Wusthof classic Chinese cleaver may be the best choice for you. This cleaver has been forged from a single piece of tempered high carbon steel, making it completely durable and long-lasting. Because of this feature, you will be able to use this cleaver to effectively cut through dense and hard ingredients such as thick vegetables and pork bones. Another great thing about this cleaver is that it comes with a full tang handle that feature triple rivets that make it easier to grip even when your hands are all greasy from cooking. Its handles also come with a hygienic fit that makes it great for all hand sizes. What’s more is that this product comes with a lifetime warranty, a very handy feature that you can rely on if any issues ever arise like when the blade snaps or when the handle happens to get detached from the blade. This Winco 8-inch Chinese cleaver is probably the most authentic-looking one in this list. 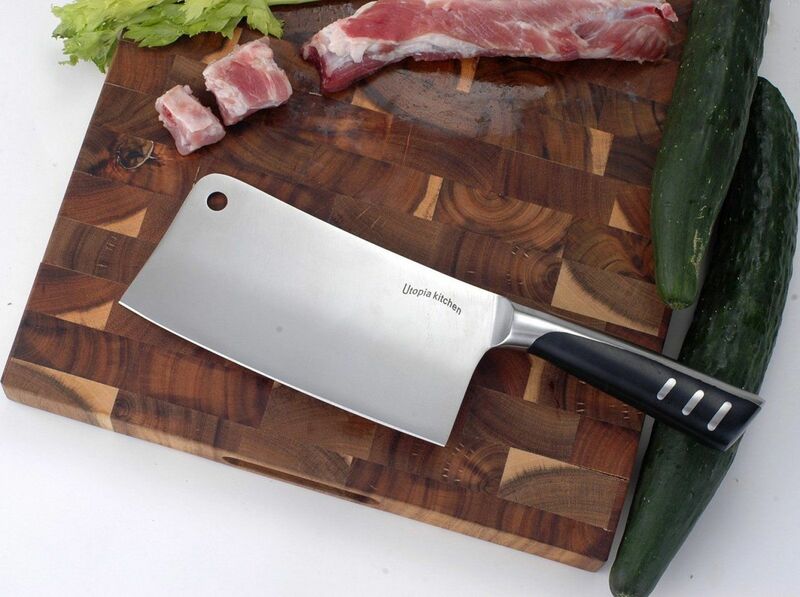 If you are looking for a Chinese cleaver that looks as if it was made or bought in mainland China, this product is the perfect choice for you. What I like about this product is its extremely authentic-looking design. It comes with a nice wooden handle for an added rustic look that is paired with an 8-inch blade that even has Chinese character engraved on one side. Aside from its design, another great thing about this product is its overall durability. It comes with rust-resistant stainless steel that would lessen your worries when it comes to maintenance and storing. This product is also quite easy to clean since it is completely dishwasher safe. Another great thing about this product is its 5-inch wooden handle that doesn’t only make it look like an authentic piece but makes it quite easy to maneuver as well. The handle comes with a highly ergonomic design that makes it easy to grip. However, it’s 5-inch length may not be ideal for people with bigger hands. This product also comes with a decent weight. 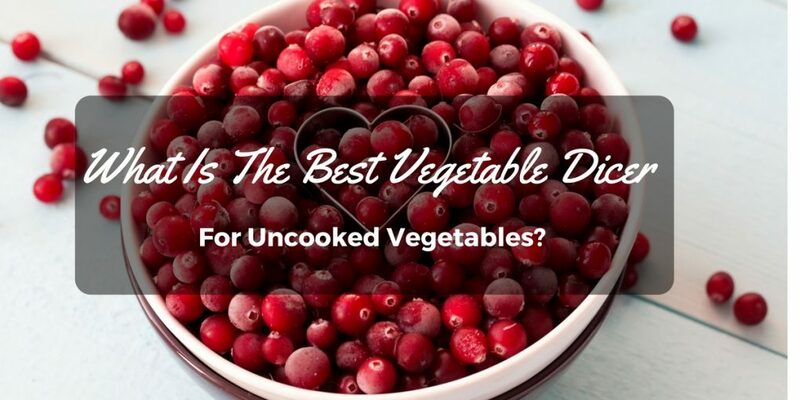 You can easily use it to cut through thick bones and dense vegetables without having to worry about breaking the blade or causing it to detach from the handle. If you are looking for a classic looking cleaver that can easily be paired with other utensils in your kitchen, this 7-inch stainless steel cleaver from Utopia kitchen may be the best choice for you. What I like about this cleaver is that it comes with 100% stainless steel. It is extremely heavy duty and is quite easy to maintain. 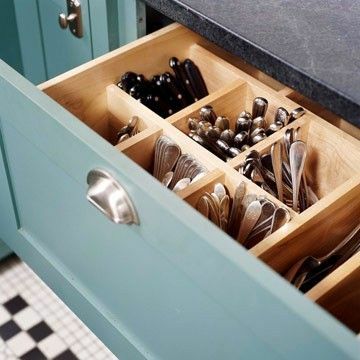 You don’t even have to worry about placing it in a drawer full of other utensils because it doesn’t easily get dull. Its durable material also allows it to become an ideal tool for cutting through hard bone. 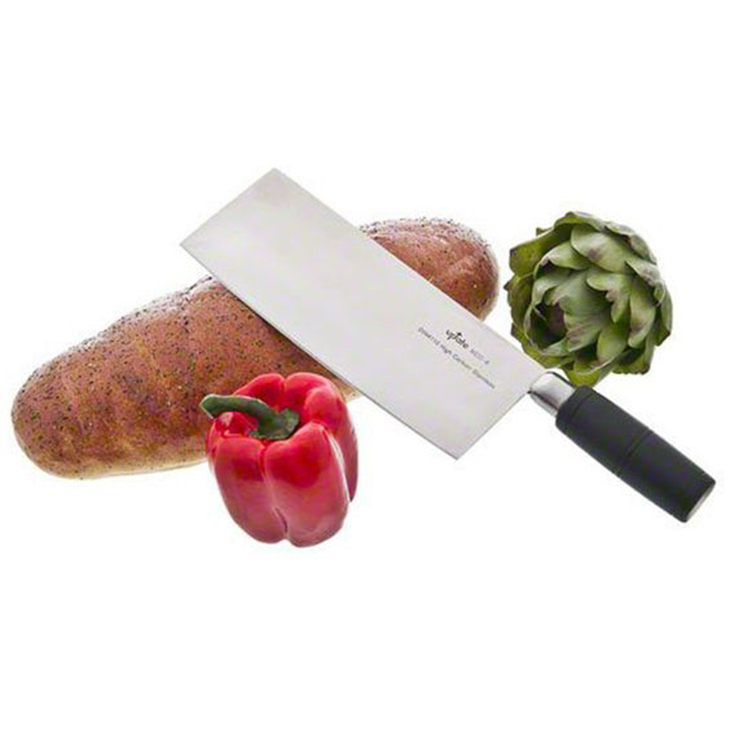 This cleaver can be a great ﻿﻿butcher knife or a chopping knife for large cuts of vegetables and meat. Heck, you can even cut a whole chicken in half with just 2 swift motions. Another great thing about this cleaver is its handle. It comes with an ABS+430 handle that will allow you to grip it and maneuver it with ease. It also does a great job at holding the large blade. No matter how hard the ingredient you are trying to cut is, you won’t have to worry about exacting too much force on the cleaver itself. Another authentic-looking piece I have included in this list is the Traditional 8-inch Chinese cleaver. This cleaver comes with a great design that will make you feel proud to hold it in front of your guests. In fact, this knife might even want to make you cook in front of your guests because it really looks cool. What’s great about this Chinese cleaver is its carbon steel build. It comes with an 8-inch carbon steel blade that is so durable, you can cut through a thick piece of bone with just one swift motion. It also has a decent weight to it since it comes at 12-ounces. 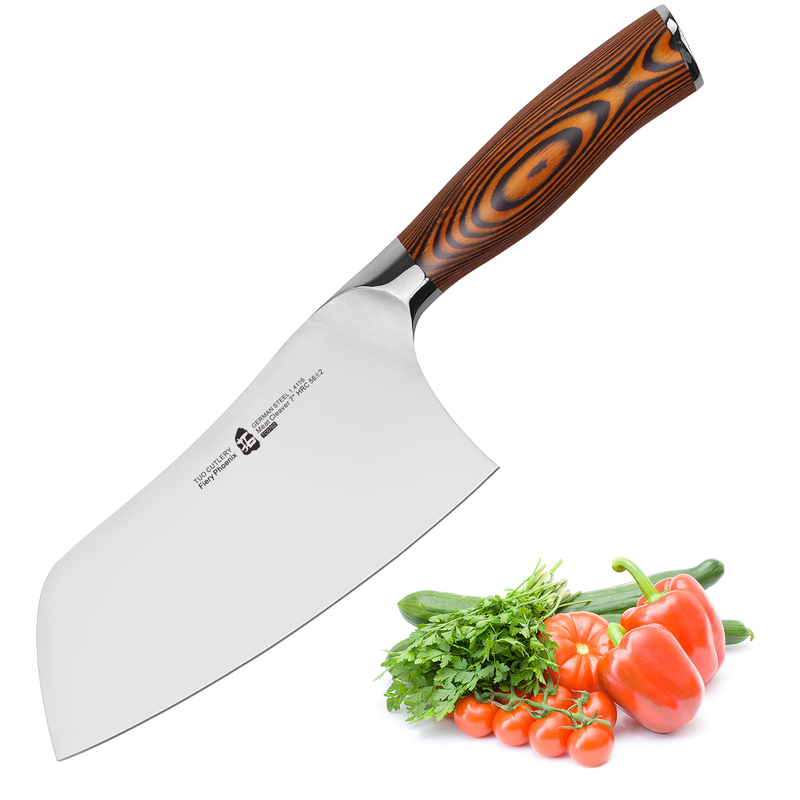 Aside from cutting thick pieces of bone, this cleaver is also ideal for quickly chopping long pieces of vegetables because of its lengthy blade. With this cleaver at your disposal, you will be able to quickly cut lengthy strips of food in a short amount of time. This cleaver has been forged from a single piece of tempered high carbon steel, making it completely durable and long lasting. Because of this feature, you will be able to use this cleaver to effectively cut through dense and hard ingredients such as thick vegetables and pork bones. Another great thing about this cleaver is that it comes with a full tang handle that features triple rivets that make it easier to grip even when your hands are all greasy from cooking. Its handles also come with a hygienic fit that makes it great for all hand sizes. Perhaps the only downside to this product is that its handles don’t really look attractive at all. Its handles are made with hard plastic that can easily get scratched or damaged when not handled with uttermost care. It’s difficult to choose the best Chinese cleaver from all our options, but with everything taken into account we’ve decided the Winco just tops the pile for its authentic appearance and non-corrosive design. 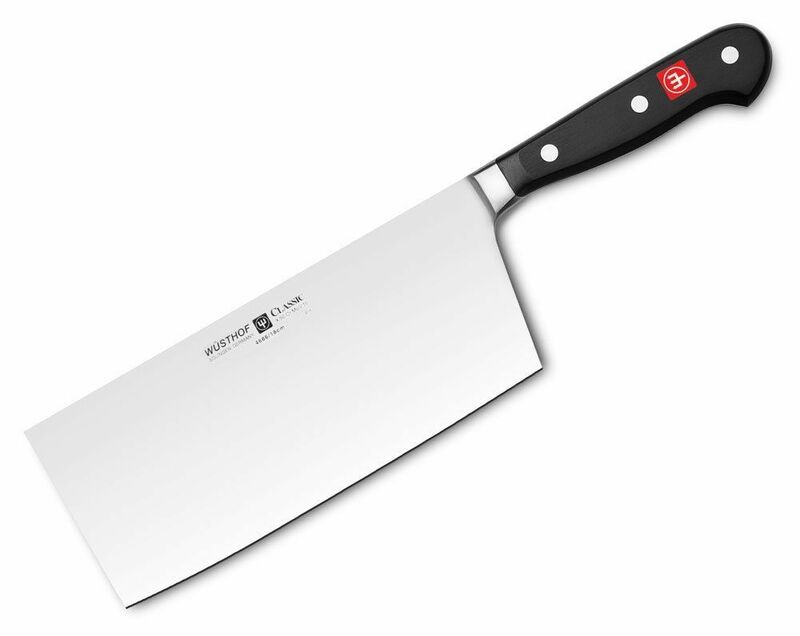 More serious home cooks and professional chefs should consider investing in the Wusthof Classic 7-Inch New Forged Chinese Cleaver. It is an expensive knife, for sure, but it is one of the best because of its quality materials and excellent craftsmanship. This is something you will be able to rely on in your kitchen for a long time. Want to feel like a real chef? Go for the Winco 8-inch Heavy Duty Chinese Cleaver. The design of this cleaver is so similar to the authentic ones used by chefs in China but actually comes with a modest price tag. 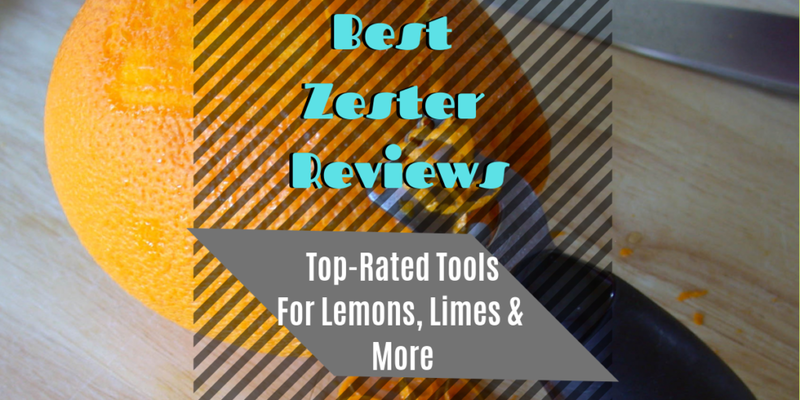 It is a good entry-level cleaver for people who just want something with a good quality that won’t bust the bank. The Utopia Kitchen 7-inch Stainless Steel Chopper Cleaver is great for people who don’t like their cleaver too heavy but don’t want it to be too light as well. It is somewhere in the middle, which is great if you are looking for a reliable knife in your kitchen. If you want something that looks like something you bought from China, the Traditional 8-inch Chinese Chefs Knife with Wooden Handle won’t disappoint you. The handle is unique and the over-all weight and feel of the blade are just right for your daily chopping needs in the kitchen. 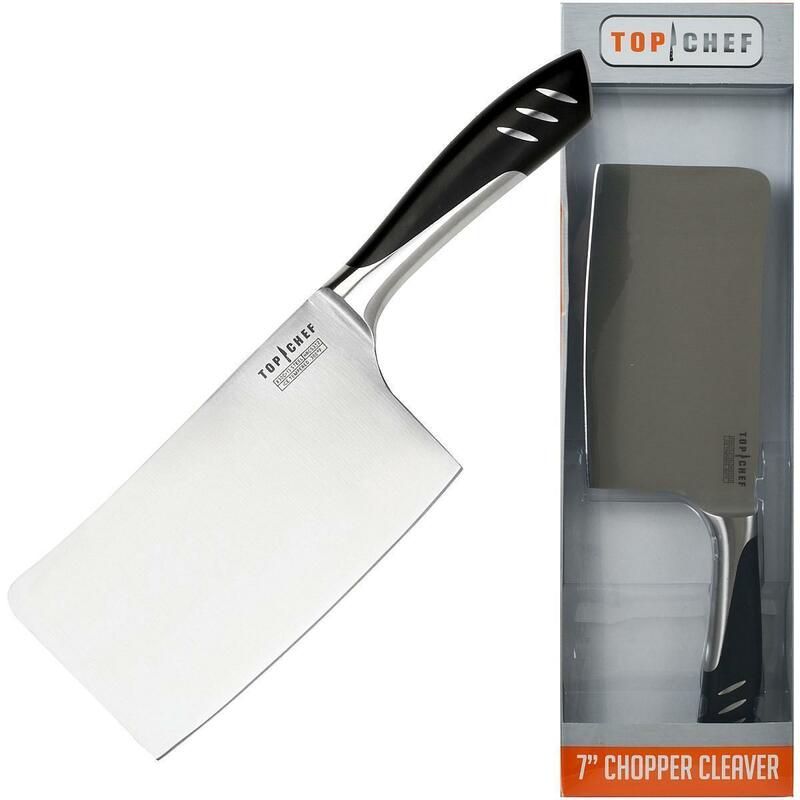 The Top Chef by Master Cutlery 7” Cleaver is a more modern-looking cleaver with low-fuss plastic handles and steel blades. It’s great for people who just want something that has straightforward and low-maintenance features. Be sure to head to our homepage to discover what else you can buy to make cooking in the kitchen a lot easier and more efficient. The key is in the right tools, so check out our buying guides and product reviews. With all the brands of knives available in the market today, how would you know which one to choose? Since all knives from different brands share the same purpose and functions, how would you know which one you should go with? It’s a good thing we have the internet to rely on during these times of frustration. There are so many products out there, it can be quite overwhelming to choose one that you should purchase. During such time, I personally rely on online reviews about certain products. It’s just a more efficient way of knowing what a certain product can offer you without having to go down to the store to see for yourself. Because of so, I decided to create several reviews of my own in order to help people like me who are also looking for certain products for their kitchen. For this article, I will be talking about knives under the Chicago Cutlery brand. 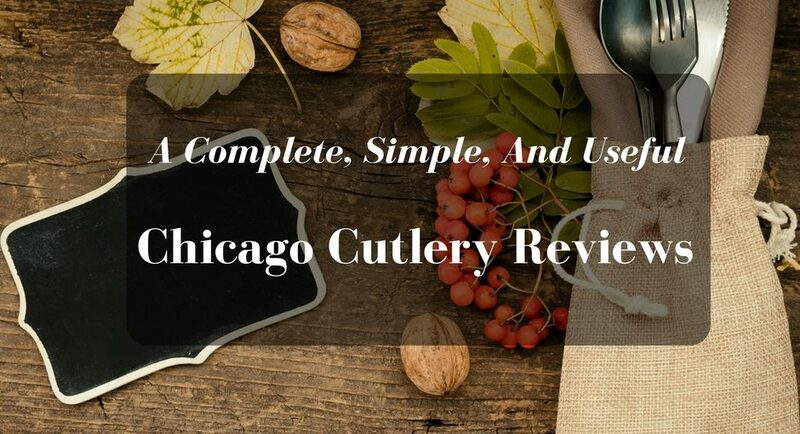 This Chicago Cutlery review will contain all sorts of information about the chicago cutlery brand, how to care for chicago cutlery knives, how to choose a k﻿﻿nif﻿﻿e, and 5 different products from Chicago Cutlery that I think are worth checking out. Chicago Cutlery is a brand that has been established since 1930. It was originally a knife conditioning service company that offered services such as sharpening knives. After about 40 years of constantly providing knife conditioning services, the company has taken advantage of the opportunity to gain more money when the demand for sharp-edged knives increased. Ever since 1969, Chicago Cutlery started to manufacture their own knives that they then supplied to numerous businesses in the meat and poultry industries. The kind of knives Chicago Cutlery manufactures are specifically designed for home use. They come at very affordable prices and are made with fine steel that has been honed into different shapes. If you try to look up Chicago Cutlery knives in the internet, you will find knives that don’t look like the typical knives in the market today. I personally think that Chicago Cutlery knives are a lot more stylish than most knives you can buy today. Aside from the design, another thing that distinguishes knives under the Chicago Cutlery brand are the uniquely shaped handles that they come with. A lot of Chicago Cutlery knives are quite easy to maneuver, even when handling foods that are too tough to slice and cut. Though Chicago Cutlery knives are very affordable, they still demand proper care and use. Just because it is a lot cheaper than competing products from other brands doesn’t mean that it shouldn’t be properly taken care of. When it comes to sharpening knives, it’s always a good rule to only sharpen your knife at least 2 times a year. Doing any more than that would only peel back the metals of your knife. Instead, try to align your knife’s blade with a honing steel. If you do need to sharpen your knife, you must know that you shouldn’t merely grind its blade on a whetstone or sharpening. There are certain rules you have to follow to ensure that you won’t break your knife’s blade. Stroke your knife’s blade edge against the sharpening rod while holding the 15 degree angle by pulling the knife’s handle toward your body as you direct it from the base of the sharpening rod up to its end. Repeat this process on both sides of your knife’s blade for about 4 times. Take note that you should alternate blade sides as you do this. Clean away the metal dusts from the sharpening rod by cleaning it with scouring powder, rinse it with water, dry it with a towel, and store it in a dry place. When cleaning your knife, the best way to do so is by using a soapy cloth and rubbing it against your knife’s blade until there are no food stains left. The next thing you should do is rinse is thoroughly, and then dry it immediately to prevent rusting. 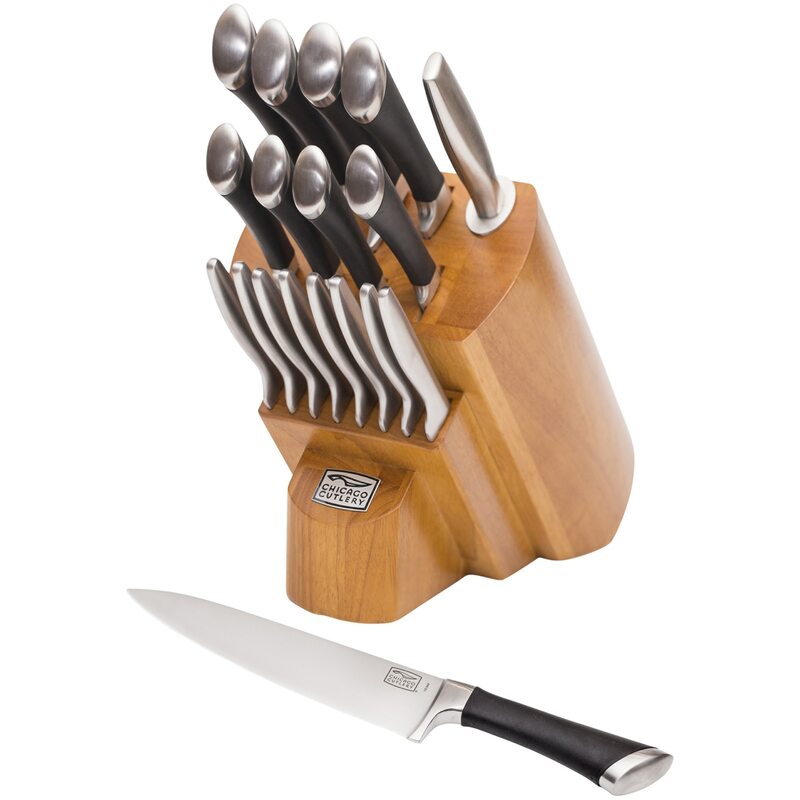 Always store your knives in a place where their blades are perfectly concealed. Also make sure that you store them in a place inaccessible to children. When putting the knife away after use, make sure that it’s blade is pointed away from your body. 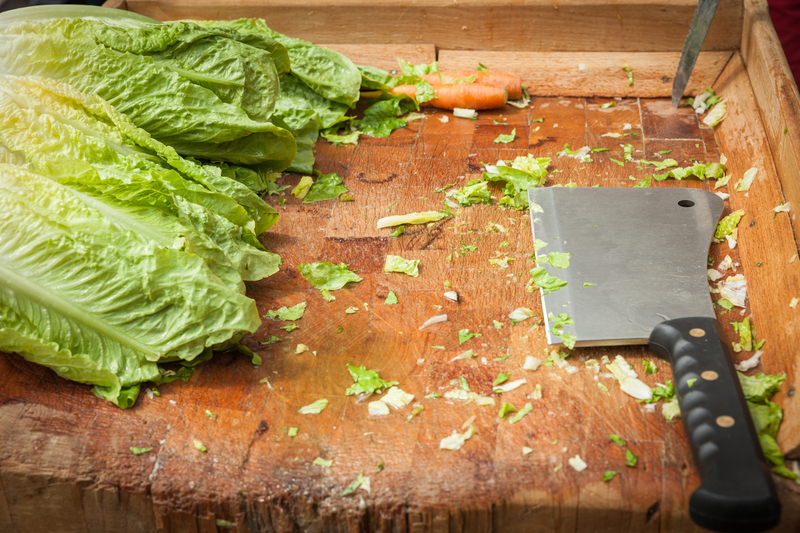 Always focus on what you are cutting, slicing, or chopping. Refrain from using your knife as a screwdriver, can opener, ice pick, etc. Choosing the right knife for your kitchen can be easy as pie when you know what to look out for. There are three types of blades you will find on knifes in the market today. A plain edge knife is probably the best choice for slicing and cutting foods that easily break apart. I guess plain edge knives are ideal for cutting fish, sushi, tofu, and other types of food that are fragile. A serrated knife is what I would use for slicing through a thick piece of steak, bread, carving poultry and thick dense foods. A serrated knife blade make it possible for air pockets to form as you cut through food. This means that if you were to cut through a dense piece of steak, the steak won’t stick to the side of your knife’s blade and will easily fall off. If you are planning on getting a single knife instead of a whole set, try to make sure that the knife you are getting will be able to perform your culinary needs. There are well over 20 kinds of knives in the market today. Each knife is made for a specific purpose including chopping, peeling, slicing, cutting, opening shells, filleting, boning, and dining. A knife’s ergonomics will determine the overall experience it can provide you. Try to choose a knife that comes with comfortable grip handles that would allow you to easily maneuver the knife regardless of the type of food you wish to use it on. 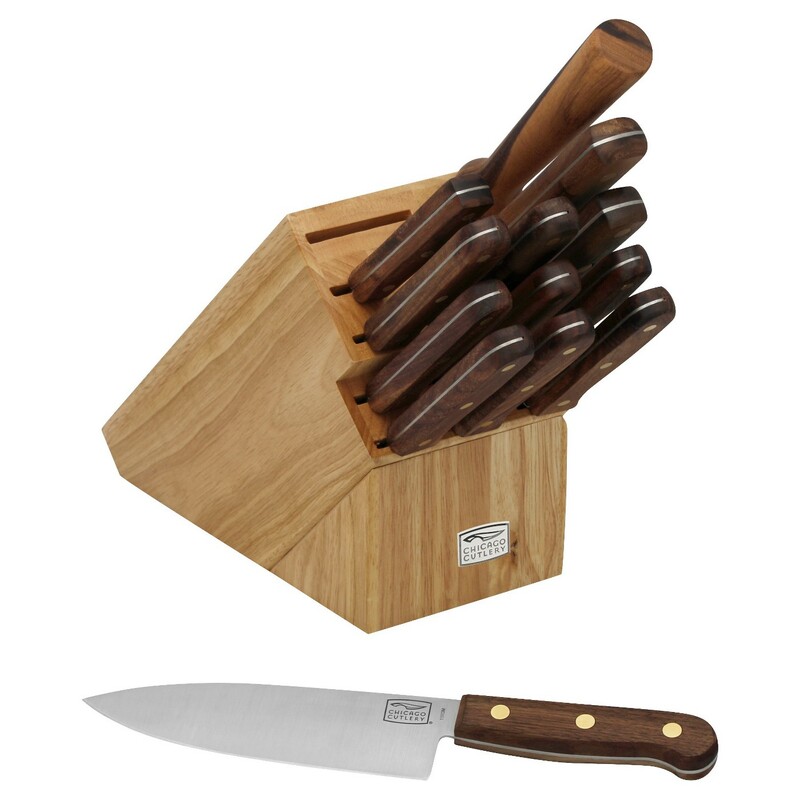 This Chicago Cutlery knife set can be a great addition to your kitchen since it comes with 18 knives including a paring knife, peeler, utility, steak knife, chef’s knife, slicer, bread knife, partoku, santoku, and a sharpening steel. What I like about this cutlery set is that it comes with all the kinds of knives you need to effectively run your kitchen. Each knife also comes with very comfortable grip handles that allow for easy maneuvering when slicing, cutting, mincing, and chopping. The knives in this set are also able to keep themselves sharp for a long period of time, which means less need for sharpening and maintenance. 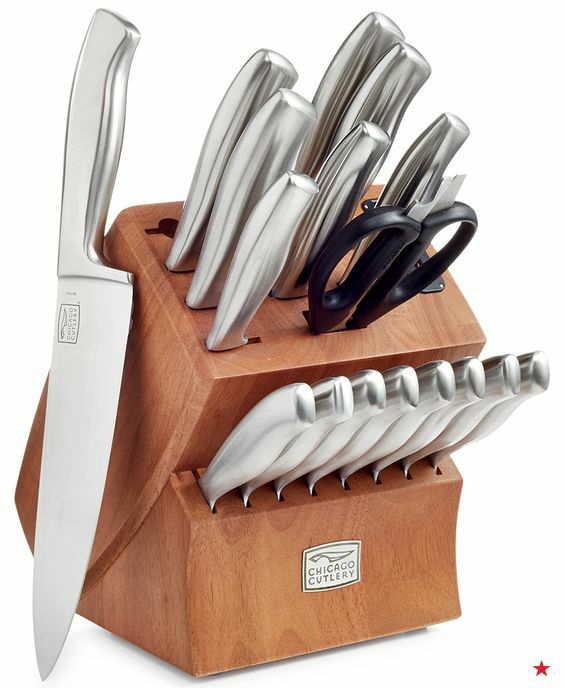 This 19-piece Chicago Cutlery knife set could be the right set for your kitchen since it packs all the types of knives you need to prepare and cook all sorts of foods.Each knife in this set is made with high-carbon stainless steel that is durable enough to last you for years to come. It’s blade isn’t very high maintenance since it’s rust-proof and not susceptible to snapping under pressure. A great choice for a person who is just looking to test out how great Chicago Cutlery knives are is this 3-piece Walnut knife set. 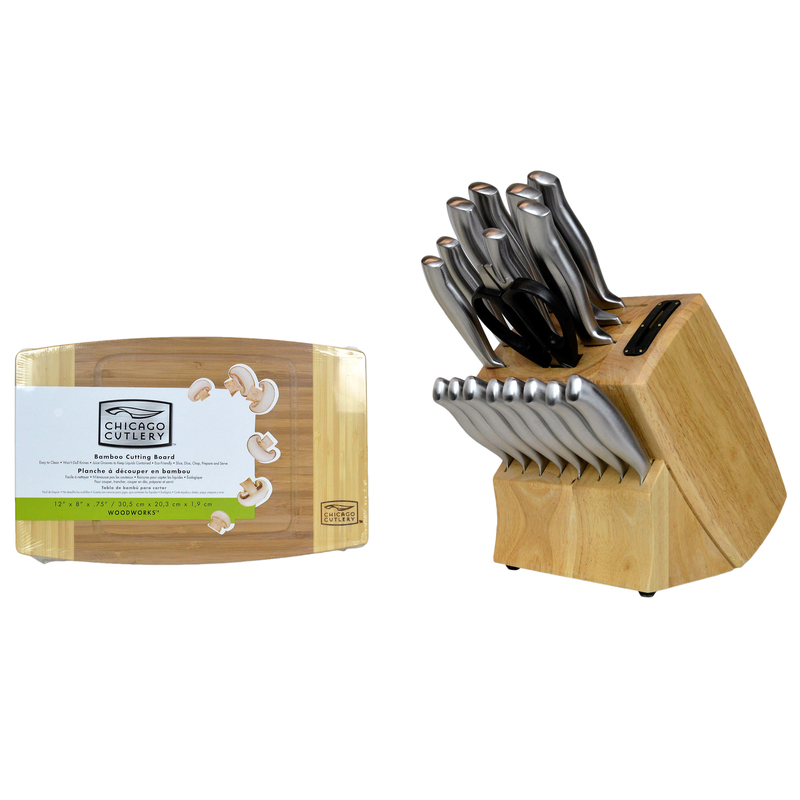 This set includes an 8-inch chef’s knife, a 3-inch paring knife, and a 5-inch boning knife. 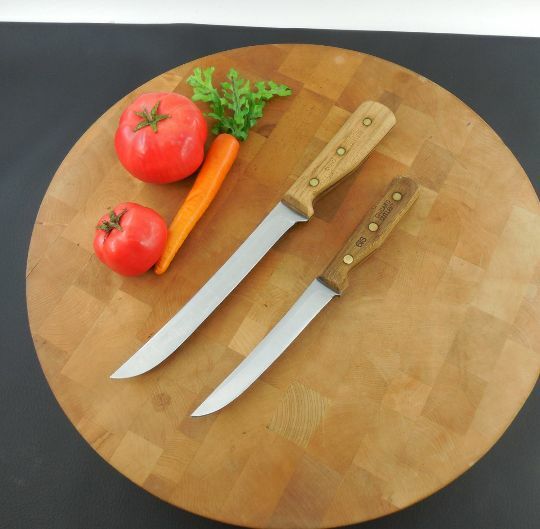 All of the knives in this set are made with high carbon 420 blades that are not only extremely durable, but are rust and stain resistant as well. They also look pretty sleek with their attractive stainless steel and walnut handle design. 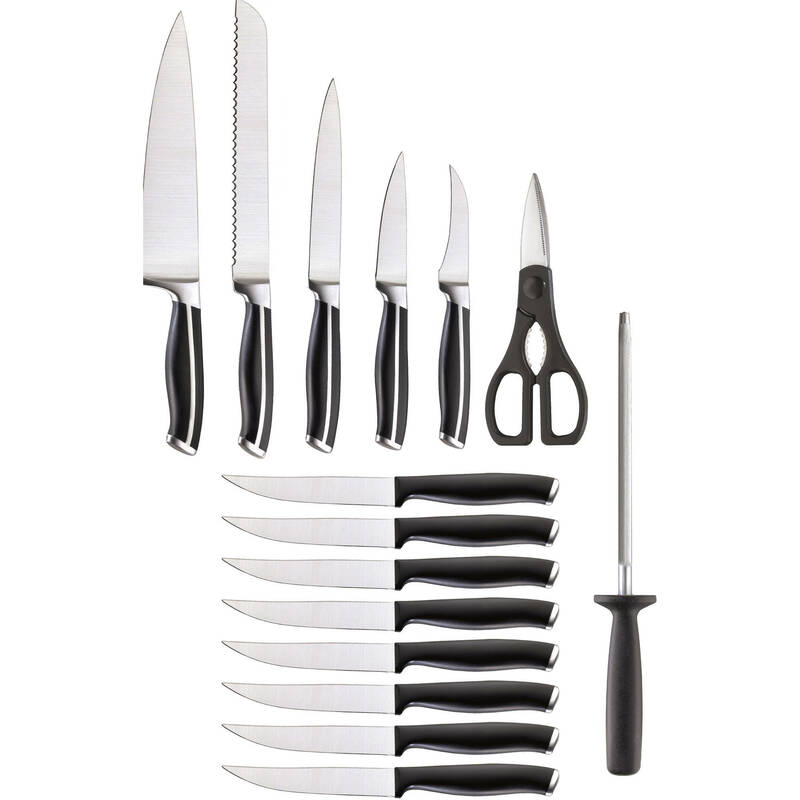 This Chicago Cutlery 16-piece knife set can help you prepare all sorts of food that needs to be sliced, chopped, minced, peeled, and more with ease since it is made with professional stainless steel blades that seldom get dull. One thing that any kitchen shouldn’t be without is a nice pair of shears. 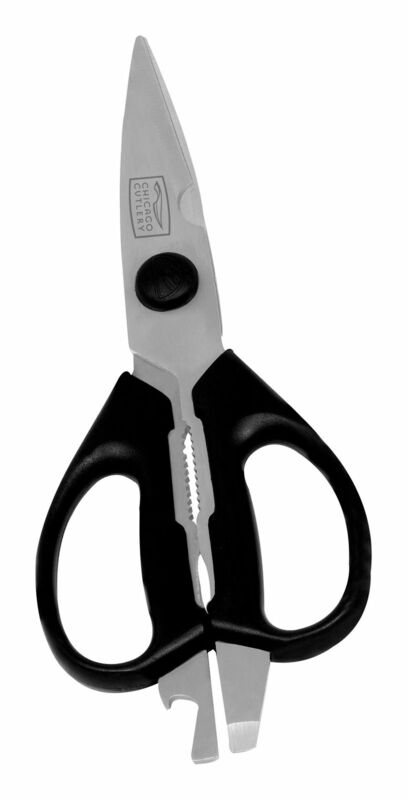 This Chicago Cutlery deluxe shears are probably one of the best affordable kitchen shears in the market today. 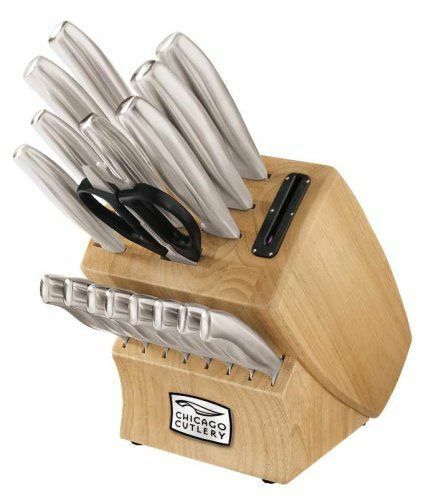 The Chicago Cutlery Fusion Forged Knife Block Set is truly a great choice for anyone who is looking for a complete set to add to their kitchen. The reason why I recommend getting this set over the others is because it comes at an average price range without compromising the knife’s overall build and performance. Each knife in this set will certainly help you effectively prepare all kinds of food in the kitchen with ease as if you are a professional chef for only a small price under 50 bucks. When I was in school, there was this girl Emile among my friends who mostly stayed in the background but was the one you could depend on—any time. 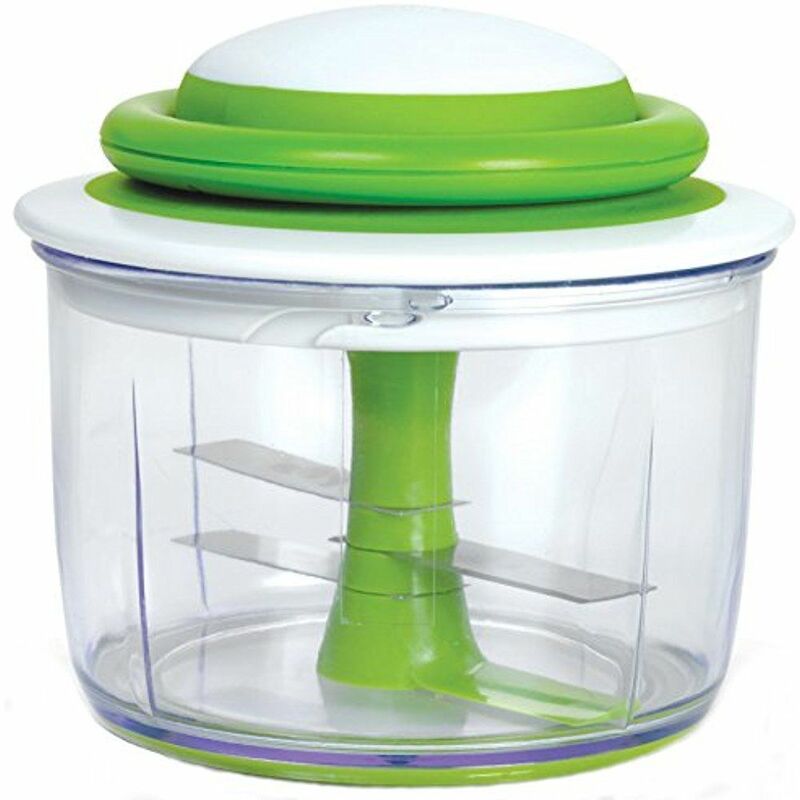 For some odd reason, I’ve always thought of my food chopper as a similar friend in the kitchen. My ﻿﻿﻿Mom used to have a little food chopper in the kitchen when I was growing up. And I remember that it always came out when she was running short of time and needed to prepare something instantly. There was the food chopper ready for action—any time. Food choppers are among the lighter kitchen appliances that come in handy when you need to chop a small quantity. 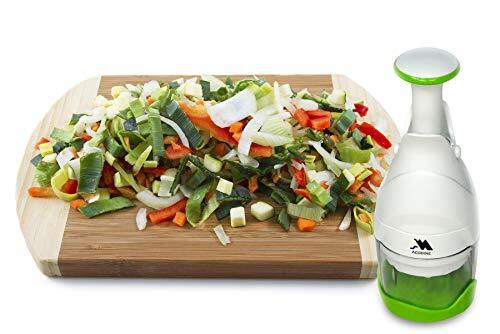 They make life easier in so many ways—they’re cheaper than full-fledged food processors, smaller, lighter, quieter and easier to clean. They also make an excellent gift for a house warming party. 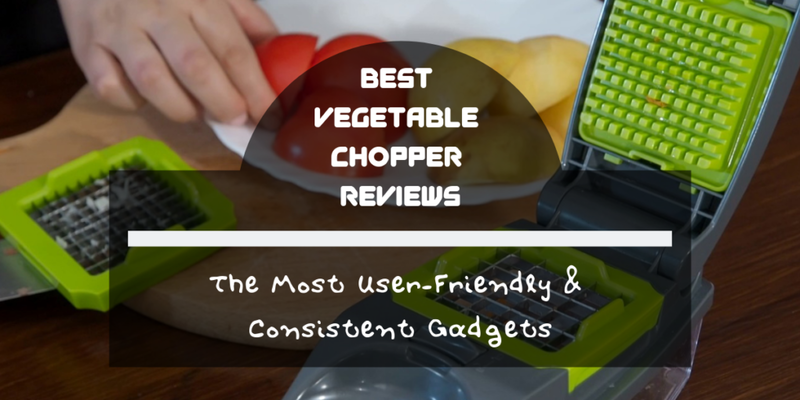 I’ve purchased a number of food choppers over the years and believe I’ve narrowed down the criteria to select the best chopper for your kitchen. So here are some of the things you should think about when comparing different brands in the appliances section. Looking for a quality knife can never be easier than today. In today’s market, you will be able to find numerous types of cutlery under multiple brands. Whether you are looking for a high-end knife that you can pass down to future generations as a family heirloom or a cheap knife that you can use for a start, you can surely find the knife you need right off the internet. When it comes to looking for quality knives that you can get at an affordable price, one brand, in particular, has always caught my attention, Ginsu. Because of so, I decided to write this article where I will provide 5 Ginsu Knives Reviews to help people who are looking for a nice piece of affordable cutlery find a knife they can finally add to their kitchen. 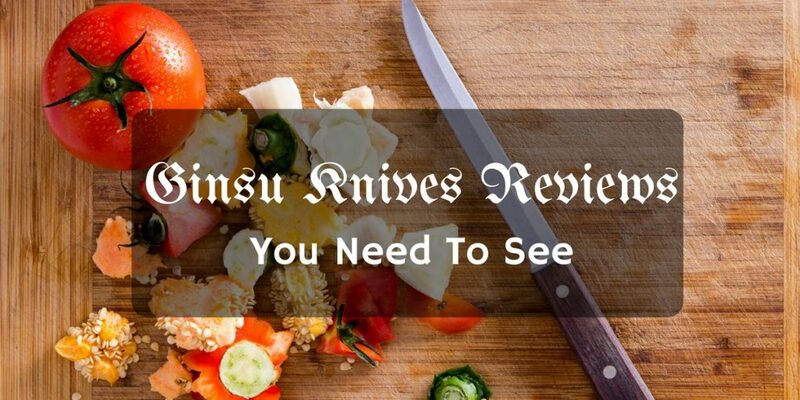 In this article, you will learn all about Ginsu knives, how to care for knives, how to choose a cutlery set, and a list of 5 Ginsu knives that you should check out. So without further ado, let’s get started!